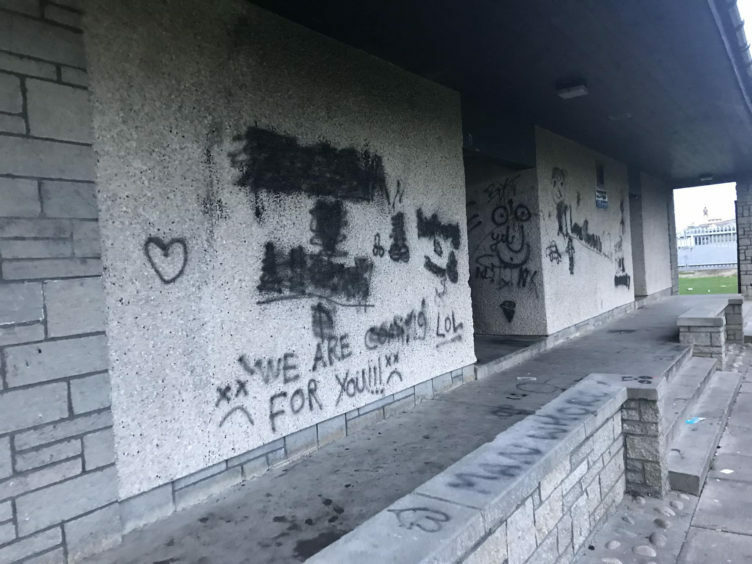 Vandals who have repeatedly targeted a north-east sports pavilion are being urged to show “respect” for their home town. 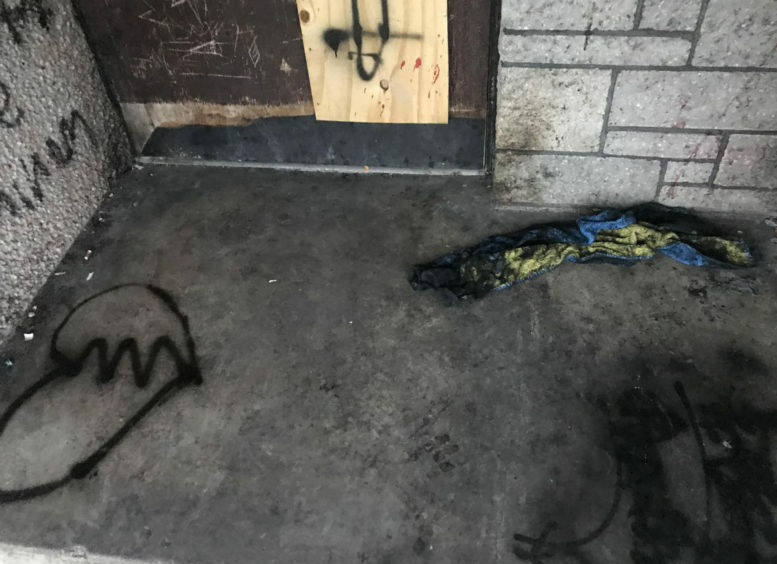 Canal Park in Banff has been covered in black spray paint and broken glass and even human waste has been found at the facility. 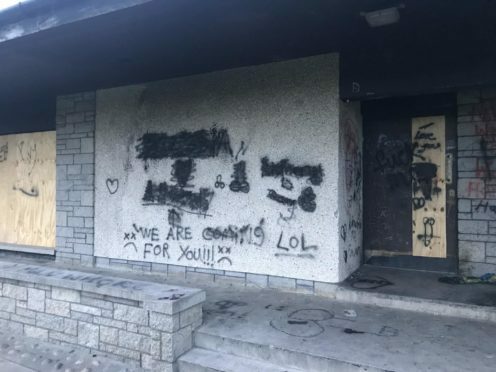 It is understood the council-owned building was boarded up by the local authority after a previous spate of vandalisms. Deveronvale Community Football Club and its youth teams use the Canal Park pitches every weekend. They have found “all sorts of undesired objects” before their matches kick off. The club has now voiced its frustration on social media stating that it was “embarrassing” and “disappointing” to find the pavilion and the pitches in that condition. A spokesman said: “You’ll find all sorts of stuff here on Saturdays and especially Sunday mornings as our teams turn up to smashed bottles, vomit, urine and all sorts of undesired objects. “If we’re lucky we get to clean the smashed bottles off the pitch along with the dog’s mess too. Last night Banff councillor John Cox urged those behind the vandalisms to have “respect” for the pavilion and their home town. He said it comes just months after the £12.7 million of brand new sports facilities were opened in Banff and at nearby Macduff. Mr Cox said: “It is a very said state of affairs. “I am assuming it is local youths doing this and I would urge them to respect it. “This is their home town and they really should have some respect. “Millions of pounds have spent on sports facilities in Banff and this is how some people are behaving. “The building belongs to the council. Last night, an Aberdeenshire Council spokesman said the local authority was considering increasing security at Canal Park. 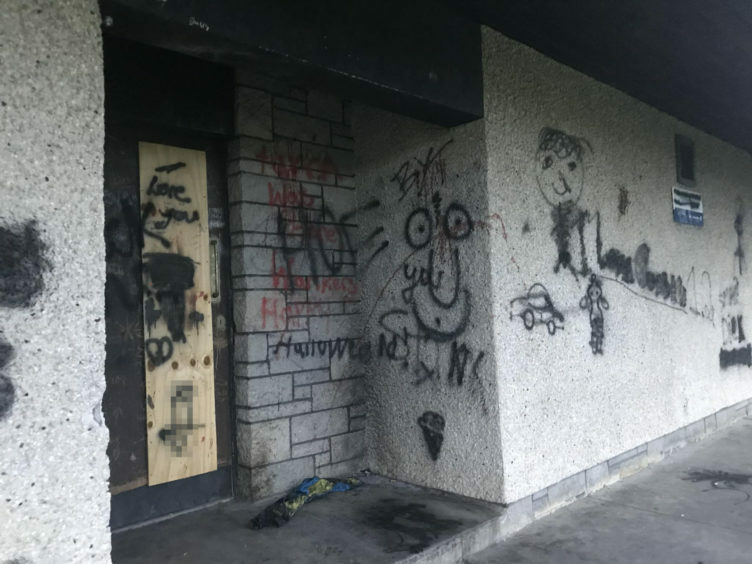 He said: “We are aware of ongoing, regular antisocial behaviour, graffiti and vandalism at Canal Park and other locations around the town and clearly this is disappointing, in many cases costing the taxpayer money and tarnishing the image of the town.